Breathtaking and powerful, Song of a Captive Bird is an incredible piece of literature. The novel transports the reader to Iran in the 1940s and 1950s and offers a fictionalized account of the life of Forugh Farrokzhad, a woman who disregarded tradition and found her voice through poetry. 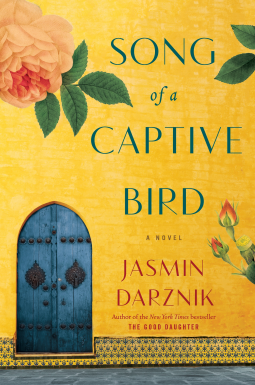 I had a difficult time putting the book down, falling asleep with it in my hands two nights in a row.As a person not well versed in Iranian history or literature/poetry, I found myself captivated by Darznik’s portrayal of Forugh and felt transported in time. The narrative flows like prose, and the fictionalized telling of Forugh’s life is paired with the political and cultural issues of the time. It is clear that Darznik has conducted countless hours of research, and I learned a lot about Iran during the time period. I really enjoyed Darznik’s style of writing and exposition: foreshadowing that constantly hooked me back in and wanting to see what would happen next. 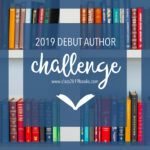 In my opinion this style of writing is difficult to execute and rarely works, but as a person without prior knowledge of the source material it kept me engaged. Themes of freedom, friendship, love, pursuing that which brings you joy, and not silencing yourself. This novel brings to life a woman who inspired the feminist movement in Iran, and I cannot recommend this book enough. Thank you Netgalley and the publisher, Ballantine Books, for the digital arc in exchange for my honest review. Song of a Captive Bird will be released on February 18, 2018. You can find information about my rating criteria here.